We are SUPER excited to announce our partnership with Gus* Modern as the first dealer in the Caribbean for these beautiful furnishings. Gus* is a Toronto-based furniture company and has been garnering international attention especially in the design industry. We are thrilled to be adding this flourishing brand to our product offerings in Barbados and this preview of the collection will show why that is. Gus* philosophy can be described in four words – Modern Furniture Made Simple. Inspired by simple forms and honest materials, Gus* Modern prides itself on the creation of original modern furniture and home accessories, focusing on great design with a practical purpose as their foundation. Gus* borrows freely from iconic furniture classics and the result is handsome furniture staples with a streamlined but earthy modernism. Think mid-century elegance with an industrial twist! 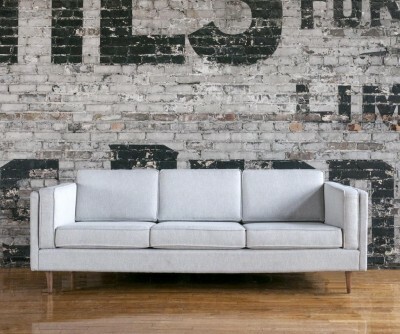 Their ever-popular Adelaide Sofa (shown above) is a classic club sofa frame that harkens back to Mid-century archetypes. It features structured side cushions which lend a vintage look and the cushions are reversible with French seams and waterfowl down-fill for luxurious comfort. To aid any environmental concerns, the solid sofa frame and tapered-wood legs are FSC®-Certified wood in support of responsible forest management. Up next is the baby to the collection, Mix Modular! This collection lets you mix and match components and fabrics to build a custom sectional, sofa or chaise to perfectly suit your space. The design uses five basic components (left arm unit, right arm unit, armless unit, corner unit, and ottoman) which can be added and combined to create an unlimited number of upholstery configurations. The beauty of this collection is in its flexibility – components can be easily reconfigured or added later to adapt to changing needs and the layout of your space. The tight seat and back give the design a clean-lined, contemporary look and each component has French seams to subtly soften the edges. Without a doubt, the Margot Sofa (shown below) epitomizes modern elegance with graceful arms, French-seam detailing and loose, luxurious cushions. It truly is a piece of eye candy but what’s equally impressive is the construction. Unnoticeable to the eye, the seat and back cushions are a revolutionary, eco-friendly synthetic-down, derived from recycled PET plastic water bottles – how cool is that?! Now, you can take solace knowing that you helped prevent water bottles from entering the landfill while being the envy of all your friends. Beauty is not only limited to the home. Gus* also provides a contract division which works with architects, designers and developers on interior design projects in the hospitality, corporate, institutional, retail, and residential sectors. Building on the success of their retail furniture collection, they provide in-house design and manufacturing solutions for modern application at any scale. 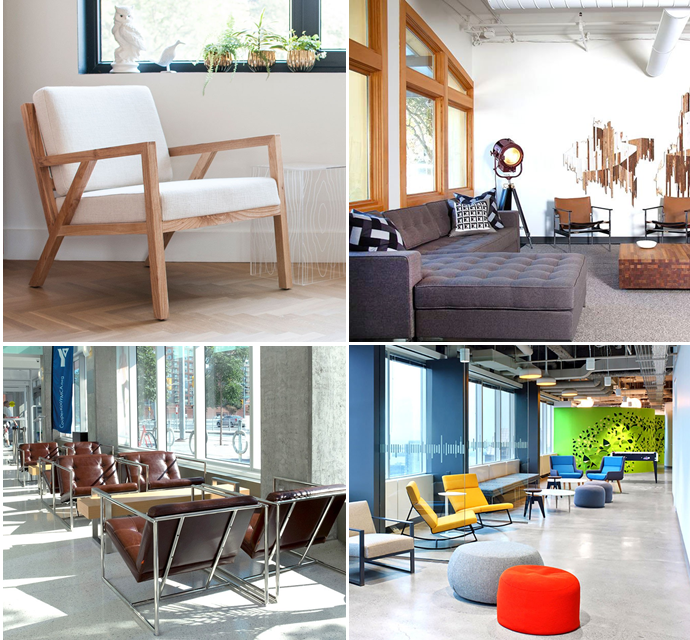 On view of their portfolio you start to understand why this brand is a force to be reckoned with as it has provided furnishings for juggernaut tech companies such as Facebook, Instagram and Google. 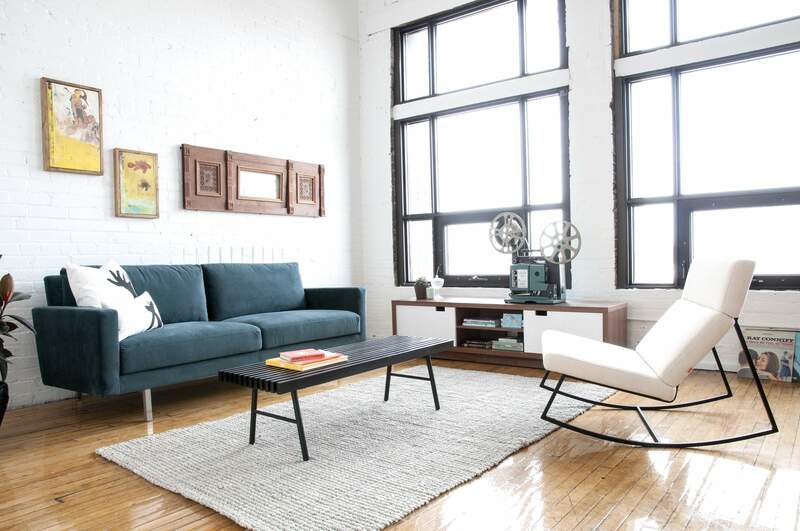 In addition to their beautiful line of sofas and sectionals, Gus* Modern offers a selection of beds, storage, accent tables, home office, dining and accessories. 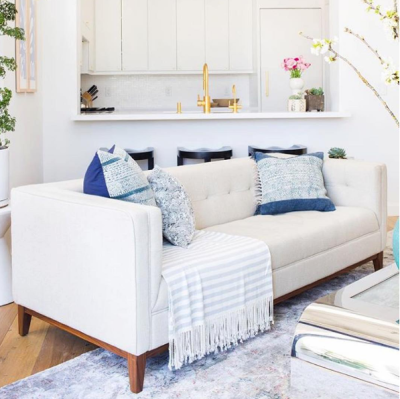 The right furnishings and decor can transform a space and once it finds its way to its new home, it takes on a new life, meaning and personality. We can’t wait to witness the different journeys of Gus* Modern in Barbados. Visit our store in Fontabelle, Barbados to view some of the collection.